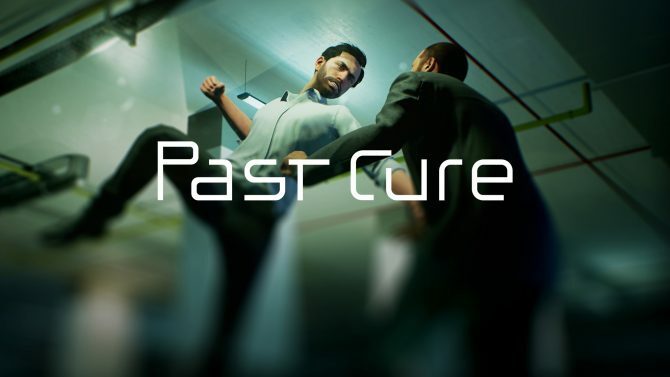 Past Cure is a clunky, uninspired mess in every single aspect and is without a doubt one of the worst games I have ever played. I won’t mince words: Past Cure is a bad video game. Merely calling it bad, however, doesn’t honestly explain just how shockingly terrible it is in every way. Between its nonsensical story, horrible gunplay, and animations from the PS2 era of consoles, Past Cure has blown my mind and reached new depths of awfulness that I didn’t know was possible in 2018. It’s honestly hard to know where to even begin with the major issues found in Past Cure, but I guess it’s easiest to start with the most dumbfounding part of the experience: its story. Up front, I want to state that coming into Past Cure I was very excited to see the narrative that Phantom 8 Studio had created. The team openly wore its inspirations on its sleeve saying they were trying to model Past Cure as a psychological-thriller in the same vein as films like Inception and Fight Club with an added element of action from something like John Wick. On paper, this made me intrigued. That’s as far as my excitement got though. Moments into Past Cure, it becomes plainly apparent that you have absolutely no idea what is going on. 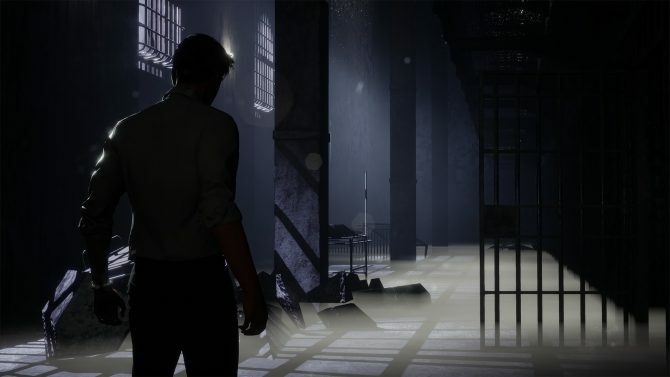 The game’s simple premise follows a single-named protagonist known only as Ian who is hunting down a group of men that held him captive and performed experiments on him for years. After finally escaping, Ian learns that he has powers — if they can even be called such — that allow him to do nifty things like disable security cameras and solve block puzzles. I’m being facetious but the supposed powers that Ian has play no critical role in the gameplay portion of Past Cure. As his powers he uses begin to cause him to delve into madness, Ian tries desperately to find his former captors and right himself. While this might sound promising, what the real issue with it is the way that the story is told. Past Cure contains a script that is so disorderly and so unwieldy that you’ll ask yourself questions like, “Wait, who is this character?” and, “What the heck are they talking about?” at least a dozen times over the course of the five or so hour playtime. In fact, the only way I was able to even restate the plot of Past Cure to you was by looking up the description of the game on its website. Large sections in Past Cure will make you think you missed something, but nope, it’s just poor storytelling. Also worth noting in regards to story and characters is that Past Cure contains the worst voice acting I’ve ever heard in my life. 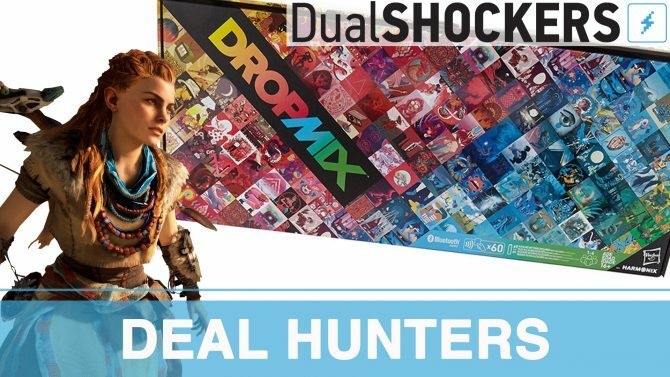 Not just in the video game medium, either, but in any digital storytelling medium. The performance for Ian, in particular, is so devoid of emotion that I’m less upset with the voice actor in question for his performance and am instead more bothered that Phantom 8 deemed it worthy enough for the game. 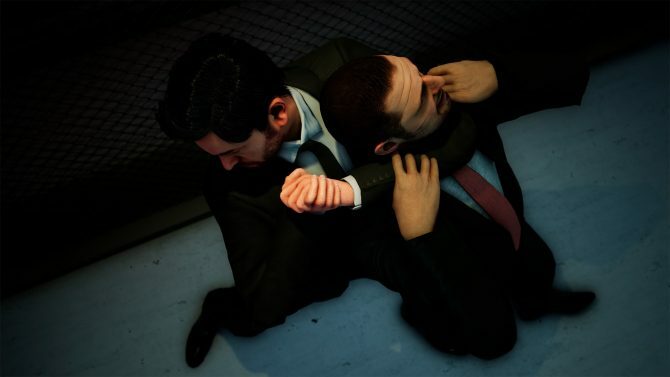 For a game that tries to rely so heavily on its story, the simple act of listening to its characters speak becomes a chore. Even further, it doesn’t help when the dialogue in question is so bad that I begin laughing when I shouldn’t. My roommate came into the room while watching me play Past Cure this past weekend and within moments he started cracking up by merely listening to the characters speak. Days later and he’s still making jokes about one section where a character reminisces about the time they received a baseball bat as a gift. So I guess you could say that the dialogue is memorable but not for the right reasons. On the gameplay front, things aren’t much better. In fact, they’re probably somehow worse. The best way I can describe Past Cure concerning its movement and gunplay would be to have you imagine a third-person action game from fifteen years ago. Got it? Awesome. 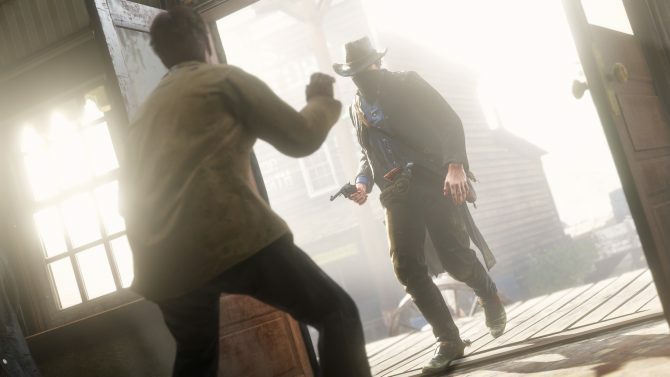 Now I want you to imagine that same sort of early 2000s third-person game with more imprecise aiming and a character that feels like his knees don’t bend when walking — a note we alluded to in our previous vertical slice preview of the game. This image should hopefully help give you a better picture of what its like to play Past Cure. Even writing this, I’m honestly so baffled that Past Cure is somehow worse in terms of controls than games I was playing when I was in grade school. This in conjunction with terrible AI, boring weapons, and as I mentioned earlier, “powers” that literally do nothing other than occasionally slow down time make for a snoozefest of an experience. Past Cure also encourages you to use stealth to your advantage quite a bit, and boy, those play out just about as well as you would expect. I have a more significant issue with video games as a whole that throw in unneeded stealth mechanics and Past Cure has joined that list. All of the action sequences that occur take place within some incredibly recycled environments with one parking garage section being specifically egregious. Past Cure is an ugly looking game that also suffers frequently from texture pop-in. Plus, the character design is straight-up–I’m running out of negative descriptive adjectives–abhorrent from main characters like Ian to the slew of soldiers you’ll come across. The finalized character models in Past Cure look like early concept models that’d you’d see in the early days of game development for other titles. A handful of technical issues plagued my already gaudy experience in Past Cure more than it needed to be. 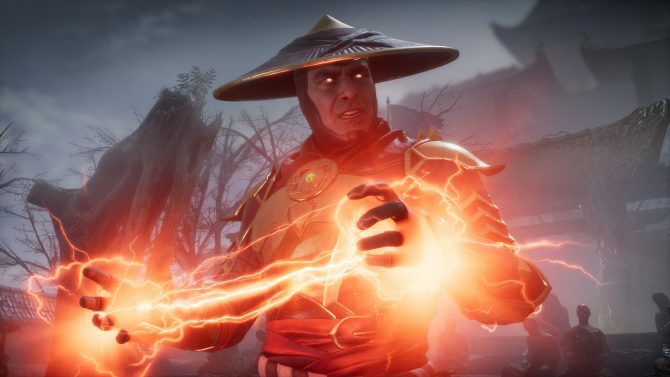 While playing on PS4, the game crashed for me twice, and I saw a handful of graphical errors. Worst of all of these was a glitch that kept me from witnessing the game’s final cutscene. As of now, Phantom 8 has told me they are familiar with this bug, and I hope that it will be fixed upon final release. Perhaps my biggest issue with Past Cure above everything else I have mentioned is that it feels so uninspired. I’m hard-pressed to believe that Phantom 8 Studio found anything in Past Cure to be what I would consider “fun” because there’s just none to be had. If you were to play this game and tell me that you had a great time with it, I would encourage you to check your pulse because you’re probably dead. In all seriousness though, I just can’t understand what Phantom 8 was trying to accomplish with this project because it doesn’t feel unique or fleshed out in any way. The only positive thing I can say about Past Cure is that I’ve taken this hit and played the game for you so that you don’t have to. In a time where I believe games are better than ever, I implore you to spend your hard-earned free time cozying up to literally any other game — even Superman 64. 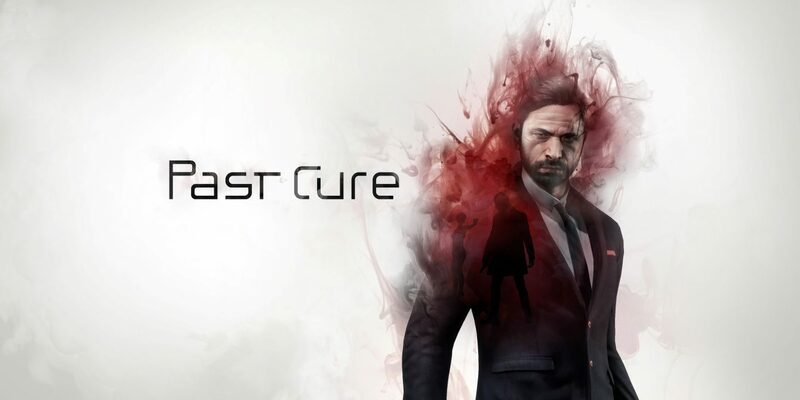 Past Cure is not just the worst game I have played over the past few years; it’s now on the shortlist of worst games I’ve ever played in my life. Phantom 8 Studio's Past Cure is an intriguing blend of surreal puzzle-solving, stealth action, and horror elements wrapped inside a psychological thriller.